My eyes popped open, staring into the black abyss that was the dark night sky, or so I thought. There were no stars. “I’m still in my bed,” I slowly realized. Then, glancing toward the window, I saw it was still pitch-black outside. The glowing clock read 0430 — thirty minutes until the alarm would go off. There was no hope in trying to fall back asleep; so I got up and took my time enjoying an early morning cup of coffee, knowing that the day was going to be longer than normal. Well before sunrise, I arrived at the hatchery, happily greeted by our night shift manager, Big Mike. He grumbled something about missing breakfast while we made our normal rounds checking on striper fry. After inspecting the shad hatching jars filled with eggs, I walked outside to the temperature-controlled tanks to collect the morning’s spawn from the swirling waters. I pulled up the collection basket, and there were thousands of tiny, yellow eggs gathered in the net. It was like looking at round jelly balls of gold. After collection, I carefully put them in their hatching jars. They would incubate there for about three days until their eyes started to develop. Most visitors think I have “superpower vision,” because when I point to the “two little black dots,” they cannot see them. I have to put the eggs under the microscope lens so they can zoom in on the eyes of the developing fish. Once the eyes of fry, or baby fish, have developed, I start a fertilization count. This lets me know how many will be hatching. On this particular day, I checked the jars and noticed a few little black dots moving around, so I gathered a sample of eggs and started counting, calculating as I worked. My boss, Forrest, yells, “FISH ON!” A female striper was ready to have her eggs removed. This was a larger than usual striper, the size that old fishermen reminisce about back in the good ol’ days. She was beautiful. Forrest and the crew carefully handled her to gently squeeze the eggs from her ovaries. A pretty, blue-green stream poured into the egg-collecting glass. This was the art of “strip spawning” at its finest. Gathered around us were visitors that had waited for this very moment. As the striper hatchery crew performed their magic, I was reminded of the adventure to come that night. That evening we headed off in our boat to an area where we believed American shad were spawning. The river was slick and glassy, reflecting the setting sun’s last streaks of color. It was as if we were floating along a canvas painting. Putting that drifting gill net into the water was the beginning — the beginning of an idea that had become reality. For years, we had talked about trying to strip spawn American shad onsite at the river, and now we were attempting it. Various scenarios started going through my head: the net getting caught on a log because we could not see it, then not being strong enough to pull it free; the possibility of ten catfish balling up in the net and creating knots big enough to make my grandma swear; or even worse, what if we did not succeed? I quickly pushed those worries to the side and focused on the task at hand. I remembered fumbling around with a few ideas before answering the student, but I gave an honest response: I became a biologist because I’ve always loved the outdoors and nature. I further explained that I spent my childhood racing through fields to the pine forests near my house — chasing snakes, catching crawdads and exploring the natural environment to its fullest. I was a fisherwoman. I loved fishing, and every chance I got, you can bet I went. I knew, when I grew up, I wanted to work outdoors and with animals. Like most little girls, I dreamed of being a marine biologist working with dolphins or sea turtles. Then, after watching Shark Week, I wanted to work with sharks. It seems every year I changed my mind. I wanted to work with wolves, bald eagles, in the Amazon Rainforest, Florida panthers, and lastly, wild horses. But the common thread always stayed the same. My dream job would involve wildlife (and not having to wear a dress to work). I was your typical college student, ready to take on the world and find my voice. I double majored in biology and anthropology with a minor in chemistry, hoping my education would lead to a job where I could make a difference. I continued to dream of working out West with wild horses or somewhere in Alaska tracking wolves. Then reality set in; that was not my niche. I did not attend a college that provided that type of background. I decided to find a job here in South Carolina, and like with any type of career, I had to work my way up. I started out as an hourly employee working with bald eagles, then sea turtles. Over time I became a technician studying eels, sturgeon and American shad; and now, I am a biologist focusing on American shad and striped bass. I never thought, in a million years, that I would end up being an American shad biologist. Growing up in Spartanburg County, I’d never even heard of an American shad, and the idea of being a fisheries biologist was foreign to me. But holding on to those childhood dreams of working outdoors (and fishing) warmed me up to the idea. I knew I had found my calling when I began working as a fisheries biologist. It was very different than what I had dreamed about as a child, but the idea of doing something that I’m passionate about and having a positive impact on South Carolina’s natural resources, makes every early morning and late night worth it. During peak seasons, the hatchery is very busy collecting eggs from the brood stock, incubating the eggs, allowing the fry to develop and hatch, using chemistry to determine the right dosage of OTC (Oxytetracycline) to mark the otoliths of the fish, and transporting the fry to stock in the Broad and Wateree Rivers. We are even testing strip spawning methods in the fish’s natural habitat. Strip spawning! Back to the drifting gill net! We’d caught some fish that day on the river. We had both roes (females) and bucks (males), and there was a wave of excitement on the boat. We quickly separated the roes from the bucks and put the net out of the way. We gently squeezed some of the females. Nothing. No eggs. What were we doing wrong? Were we too early? We squeezed again and a small amount of white eggs poured into the pan. Next fish. She was ready; a steady stream of those golden jelly balls poured into the pan. Jack pot! We quickly learned through the process of strip spawning American shad that it is not an exact science because we were in their domain. After fertilizing the eggs, bagging them and transporting them back to the hatchery, it was around one in the morning. I had been up since 4:30 a.m. I was sleepy, tired, excited and anxious all at the same time, hoping our experiment would work. We would have to wait until we returned to the hatchery to know for sure. I didn’t become a biologist for the fame and surely not for the fortune. I became a biologist because I love and care for the great state of South Carolina — it is my home, and I love my job. If people like me did not exist, neither would our state fish, wild turkeys, white-tailed deer, and in my case, American shad. We live in a society where people equate success with money, but success to a biologist is experimenting, learning and making practical applications to do better next time. This ensures that the future of the great outdoors and everything that it encompasses will be there for many generations to come. By sharing a few things that SCDNR biologists and technicians do during hatchery season, I hope to inspire everyone to stop by and see how we’re returning American shad runs to historical numbers. For more information, visit http://hatcheries.dnr.sc.gov/bayless/BaylessTour.pdf or http://hatcheries.dnr.sc.gov/bayless/index.html. Disclaimer: The views and opinions expressed on South Carolina Wild are solely those of the authors, and do not reflect official policies, positions, or endorsements of activity or products by the South Carolina Department of Natural Resources. We want to hear from you. What kinds of outdoor activities do you love to do? How are you making a difference for the future of the environment? Your writing could be published here on South Carolina Wild or even in our parent publication South Carolina Wildlife. Click on Submit in the menu above to find out what we’re looking for and how to send us your work. Why Do We Need Outdoor Education? The views and opinions expressed on South Carolina Wild are solely those of the authors, and do not reflect official policies, positions, or endorsements of activity or products by the South Carolina Department of Natural Resources.  The South Carolina Department of Natural Resources, AN EQUAL OPPORTUNITY EMPLOYER, prohibits discrimination on the basis of gender, race, color, national origin, disability, religion or age. Direct all inquiries to the Office of Human Resources, PO Box 167, Columbia, SC 29202.